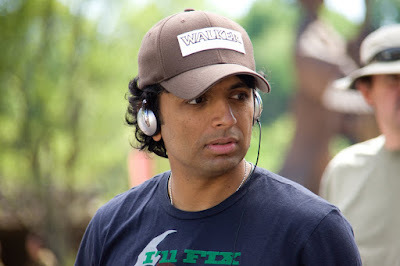 Terror Firma Media: Is M. Night Shyamalan back??? With the box office and critical success Split has already garnered coupled with the success of The Visit we here at Terror Firma are left to ponder- Is M. Night Shyamalan back?? Shyamalan had directed 2 features before he hit it big with the Sixth Sense, Praying With Anger his debut featured him in the lead and Wide Awake a comedy starring Dana Delany, Denis Leary and Rosie O'Donnell. But it was the smash-hit Sixth Sense where he made his name and introduced the world to his new style of story telling, one that would bring him huge success and also plague his career for many years to come. After Sixth Sense he directed Unbreakable and Signs to much fanfare and critical praise but then the praise ended with the release of the Village. The for this film was done with the insane trailer that the Studio released making the film appear to be a monster in the woods film which the movie certainly wasn't. Shyamalan has went on record saying he was disappointed by the marketing campaign of this film and it's clear to see why. After this he filmed Lady In The Water and The Happening both of which were sub-par films for the talent involved and did not set the box office alight as his earlier fare had done but it wasn't til his next two films that people started right him off entirely as a filmmaker. Those films were The Last Airbender & the disaster that was After Earth, the second of which almost sunk Will Smith's career in the process. People who had criticized him for his movies having twist endings were now criticizing his films for not having twist endings. He was damned if he did and damned if he didn't. Shyamalan sidetracked into television producing very successfully with the hit series Wayward Pines and fans of his "holy Trinity" of movies (Sixth Sense, Unbreakable, Signs) hopes were raised that he was about to make a comeback. His choice of a "found footage" esque film the Visit was not promising as that has been done to death but he managed to bring an interesting take on it and craft a very enjoyable film in the process. His follow up to that is the box office hit Split which has all the critics and fans alike talking about it. His next film, Labor of Love, takes him back to his roots as it's a romantic drama and is rumoured to be starring Bruce Willis. So we come back to the original question: Is M. Night Shyamalan back? Only time will tell. What are your thoughts on this? Let us know in the comments bellow and over on the Facebook Group and Twitter.